Welcome to Thomson Impressions at Lorong Puntong. 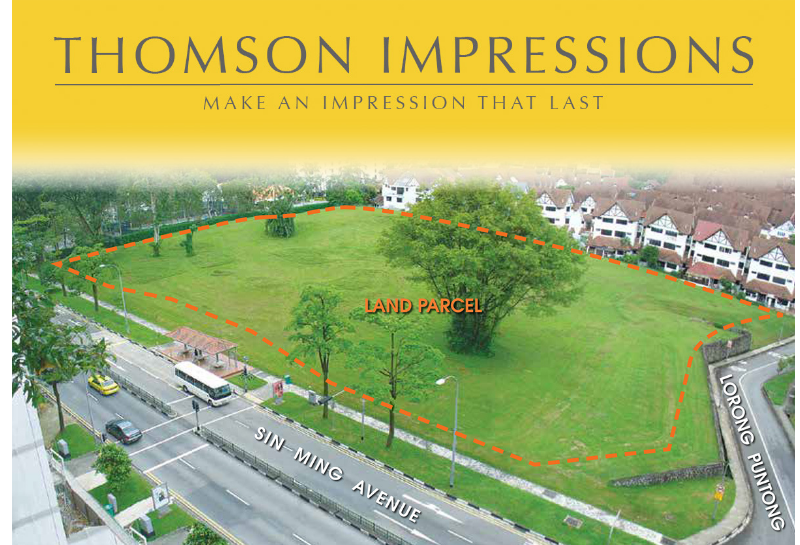 Thomson Impressions is nestled in Sin Ming Avenue, along Upper Thomson Road. This 99 years leasehold development has a total site area of approximately 1.06 hectare. 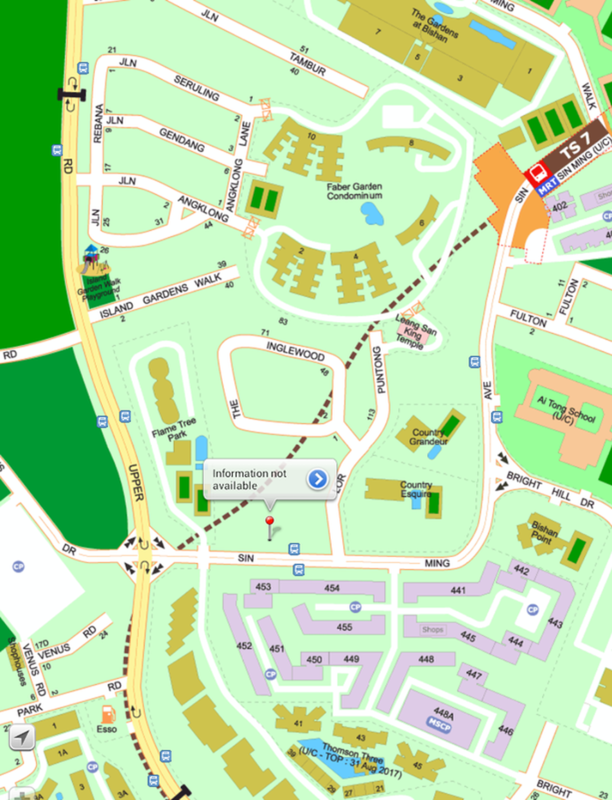 Under the Bishan planning area, Thomson Impressions is located in the junction of Sin Ming Avenue and Lorong Puntong. It is also bounded by Flame Tree Park and The Inglewood. The estimated number of housing unit at Thomson Impressions will be 288 residential units (283 condo units and 5 strata landed homes). Other developments that are nearby New Condo include Thomson Three, Thomson Grand, Sky Vue, Sky Habitat, Three 11, The Gardens at Bishan, Bishan Park Condominium, The Panorama and Thomson View Condominium. 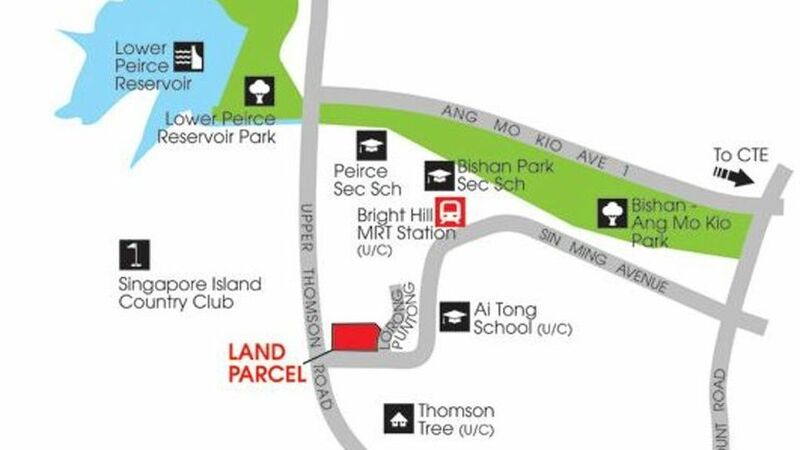 Thomson Impressions is approximately 500 m away from the upcoming Bright Hill MRT Station, along Thomson Line, its estimated completion in 2020. Future residents can also take a bus to the upcoming station, which is 2 stops away, from the bus services available just outside the development. The Thomson Line Train services will bring conveniences to future residents of Thomson Impressions as it is just 7 train stations away from Orchard Road. 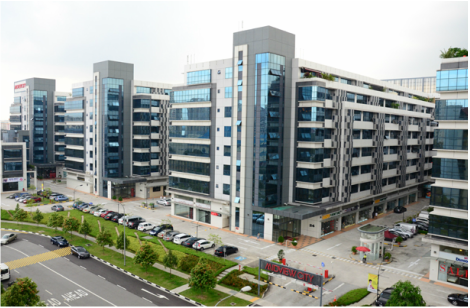 For those who wish to drive to Orchard Shopping Belt, it will take approximately 10 minutes from New Condo. 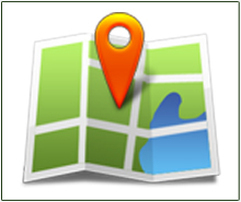 Thomson Impressions is also approximately 15 minutes' drive away from the Central Business District (CBD). To travel to various parts of the island, future residents could also use the nearby Pan Island Expressway (PIE) and the Central Expressway (CTE). 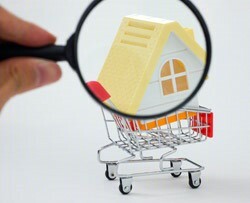 Upcoming Hot Condo Project in Thomson Launching Real Soon! 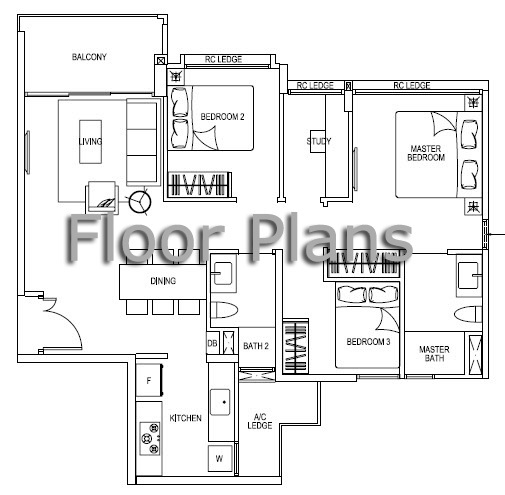 Thomson Impressions will be one of the ideal locations for family living as it is close to many reputable schools. 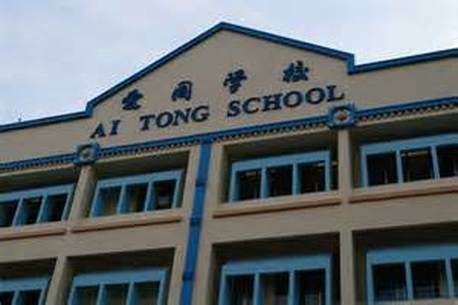 Schools such as Ai Tong School, Ang Mo Kio Primary School, CHIJ St. Nicholas Girls' Primary School, Catholic High School (Primary), Bishan Park Secondary School, Peirce Secondary School, Mayflower Secondary School, Whitley Secondary School, CHIJ St. Nicholas Girls' Secondary School, Ang Mo Kio Secondary School and Catholic High School (Secondary) are within a short radius away. 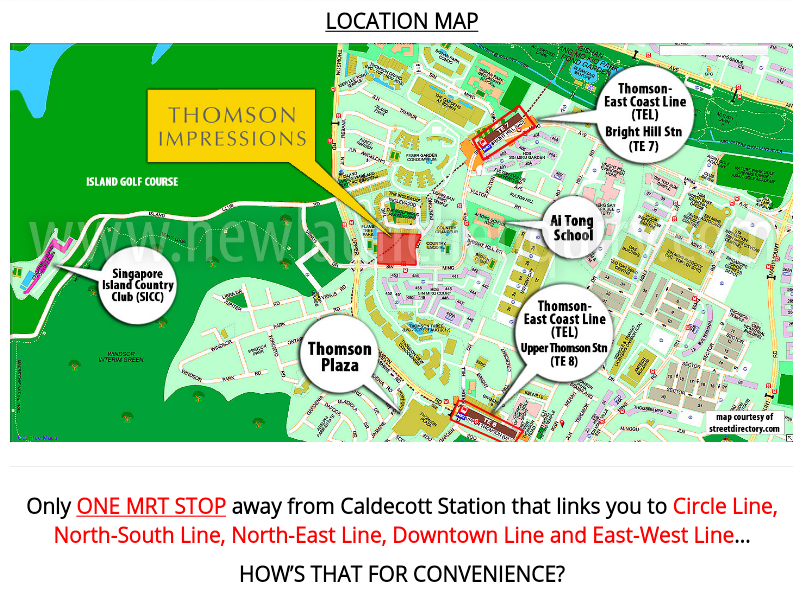 Thomson Impressions is also close to James Cook University's Singapore Campus. 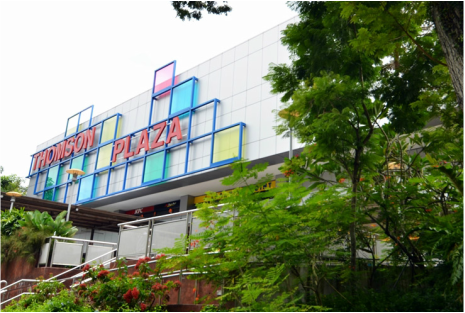 When it comes to dining, shopping, entertainment and leisure facilities, future residents of Thomson Impressions can easily head down to the nearby Thomson Plaza which is approximately 600 m away. 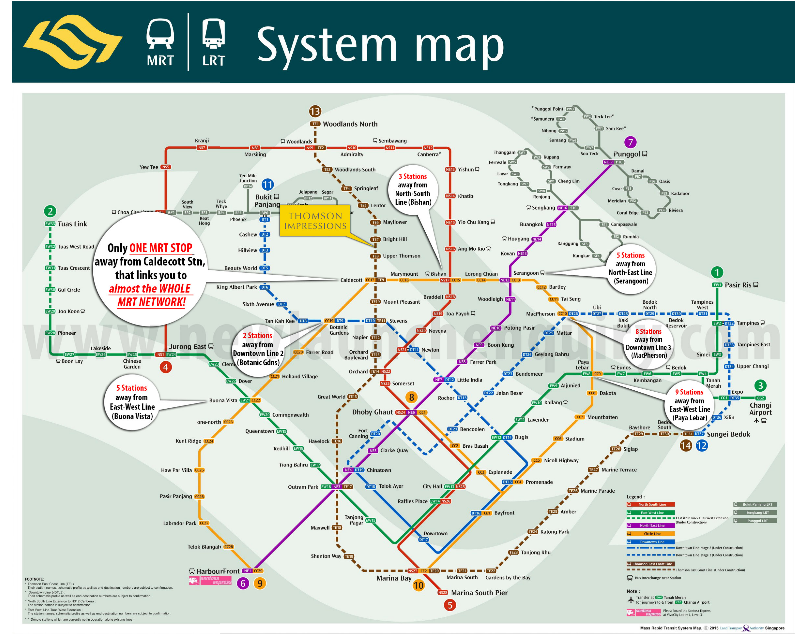 Alternatively, they can take a short drive down to AMK Hub or Junction 8 which less than 3 km radius away. 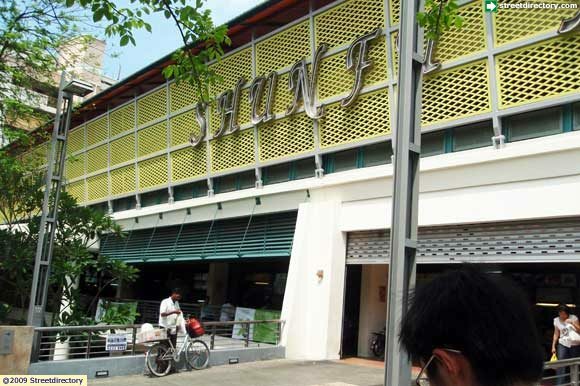 When feeling to indulge in yummy and cheap local food future residents can head down to Shunfu Food Centre, Kebun Baru Market and Food Centre, Sembawang Hill Food Centre or Mayflower Market where numerous of famous local food stalls are hosted. Thomson Impressions in Sin Ming Avenue, along Upper Thomson Road is close to many reputable schools. Thomson Impressions - an impressive development is expected to have 283 condo units and 5 strata landed homes. 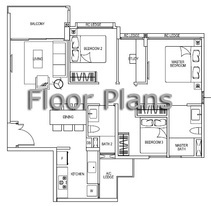 Register me for the priority preview of the show flat and update me with floor plans. Latest Comprehensive List of New Launch Condo Property, Overseas Property & Good Resale Condo Singapore Welcome to Thomson Impressions at Lorong Puntong.